Hormel Foods Corporation (NYSE: HRL) today announced its Progressive Processing LLC production facility (Dubuque, Iowa) was awarded LEED® Gold. Progressive Processing is one of the first manufacturing plants to be a LEED-certified project at any level. Sophisticated heat and water recovery processes. For example, as part of the boiler system, heat from blowdown water is recovered and the water is captured and reused for flushing toilets. 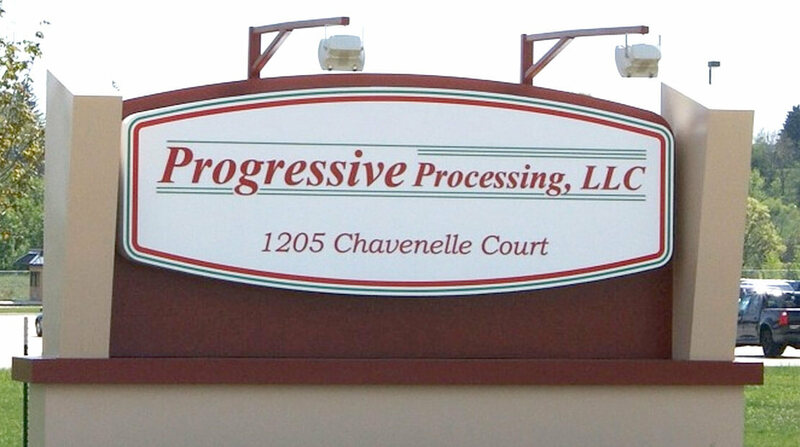 Progressive Processing, located at 1205 Chavenelle Court, officially opened on Jan. 25, 2010. The facility currently produces Hormel® Compleats® microwave meals plus Hormel® and Valley Fresh® chunk chicken. It spans 348,000 square feet and will cost $89 million when complete. ®LEED is a registered trademark of the U.S. Green Building Council. Hormel Foods Wins Platinum Award at 2009 LACP Vision Awards for 2009 Hormel Foods Corporate Responsibility Report Hormel Foods was recognized with a platinum award in the Community/Corporate Responsibility/Diversity/Foundation Reports category. With a community comprising 80 local affiliates, more than 18,000 member companies and organizations, and more than 155,000 LEED Professional Credential holders, USGBC is the driving force of an industry that is projected to contribute $554 billion to the U.S. gross domestic product from 2009-2013. USGBC leads an unlikely diverse constituency of builders and environmentalists, corporations and nonprofit organizations, elected officials and concerned citizens, and teachers and students.